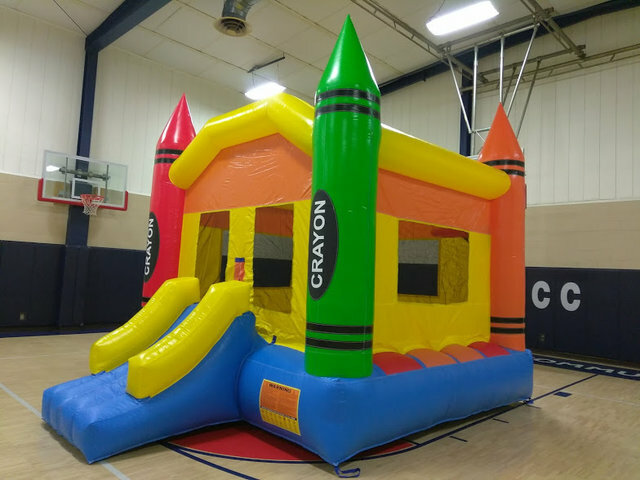 The Crayon Bounce House is a cheerful, bright and colorful inflatable perfect for any party or event for children. Crayons are positioned at each corner inspiring fun and creativity for all. 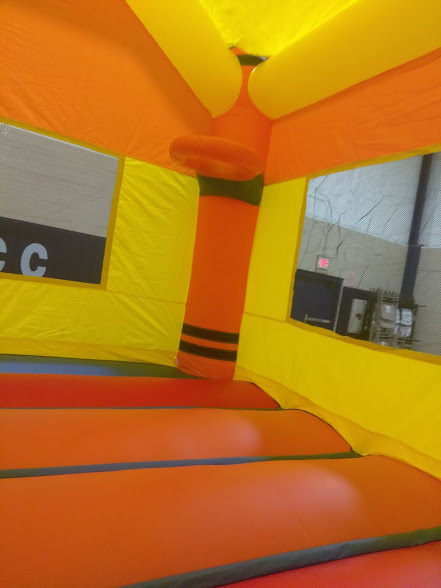 Children will jump and bounce for hours inside this bounce house. This bounce house is great for all ages and features a slide for a fun and safe exit. Can hold up to 1,000 LBS. Features a basketball hoop inside and a kiddie slide for a fun exit!